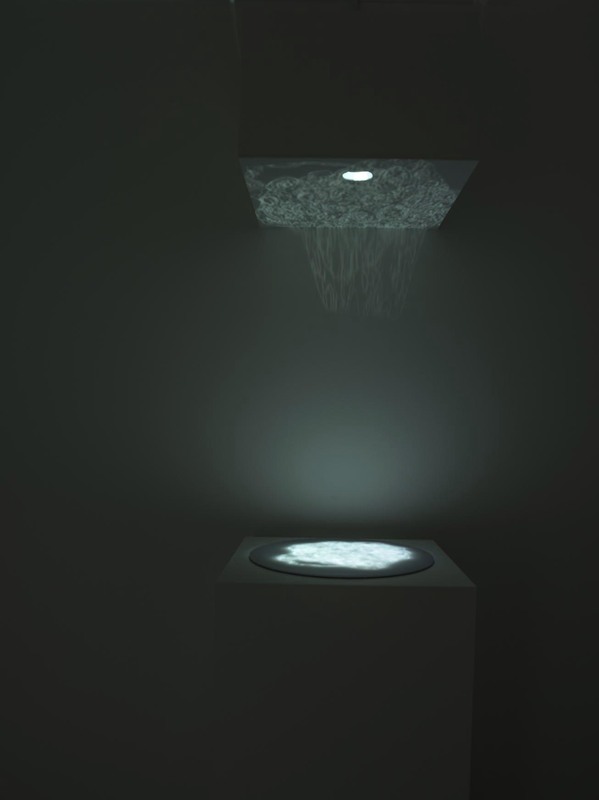 Green Precipitation (microclimate series) nocturnal version 2012-2013, Perspex, wool felt & light, Dimensions variable. 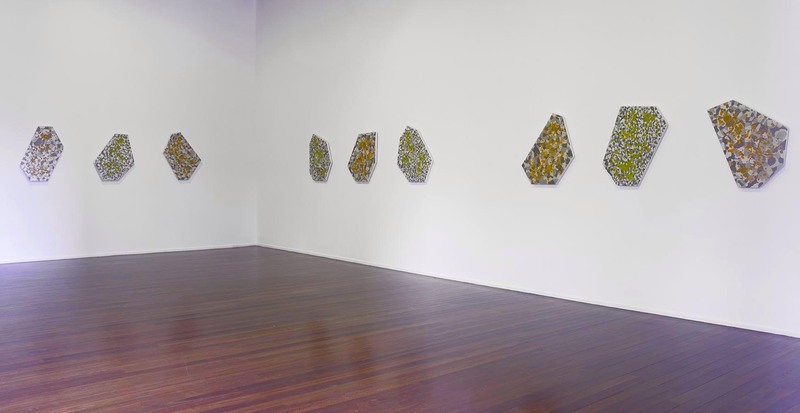 Installation view Milani Gallery, Brisbane. 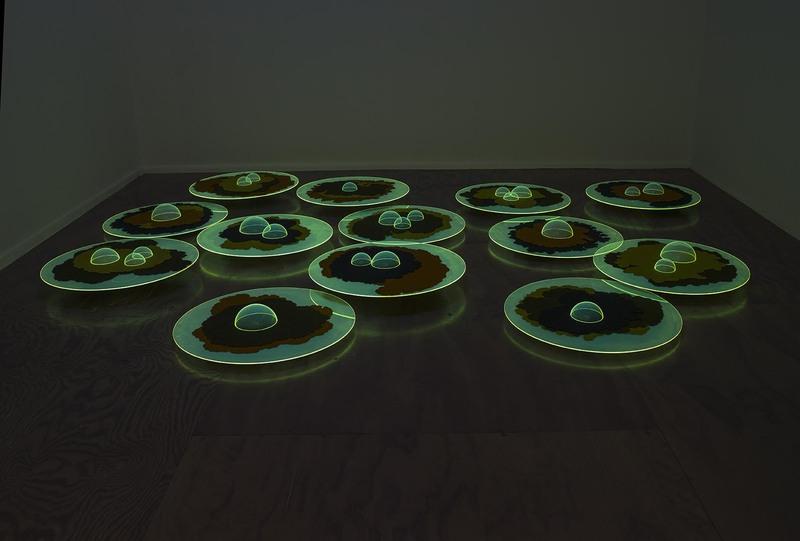 Photography Carl Warner. 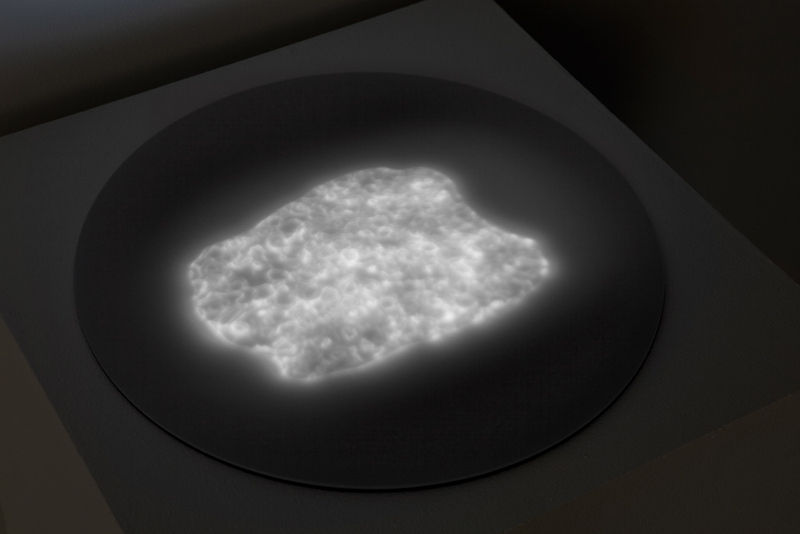 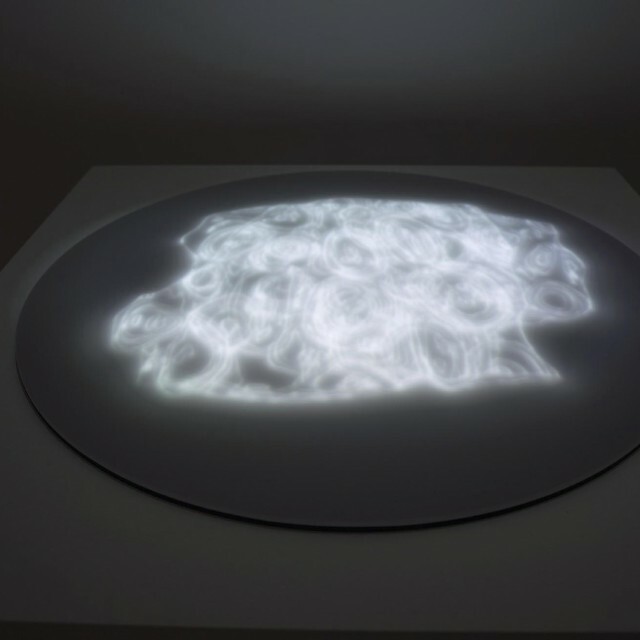 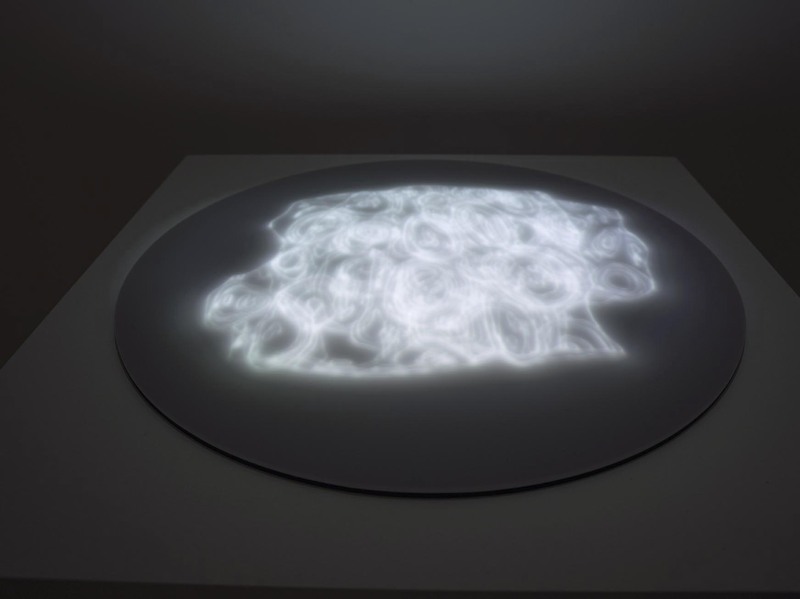 Gravity tide 2013, Projected animation, Perspex, Dimensions variable. 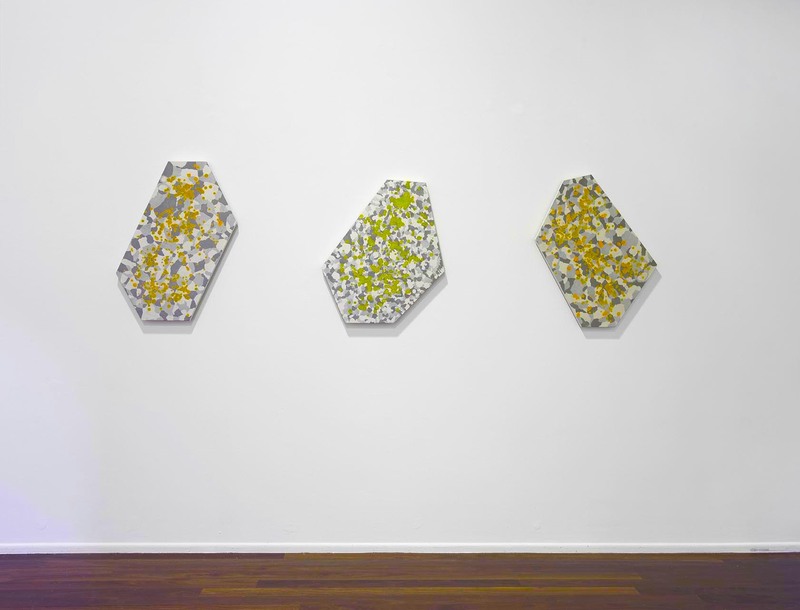 Lithic (topology series) 2013, oil paint, medium and wax on wood. 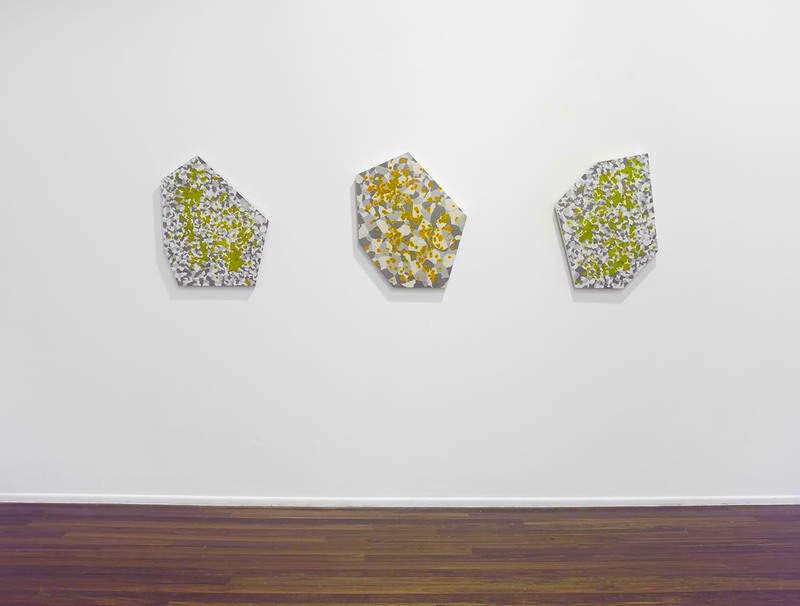 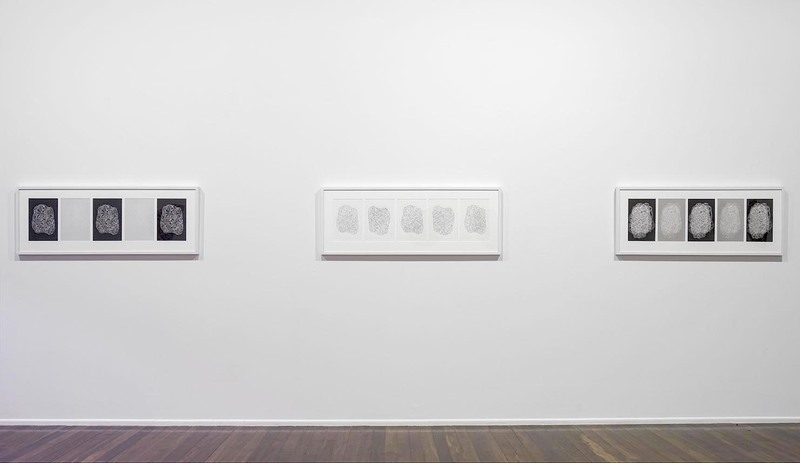 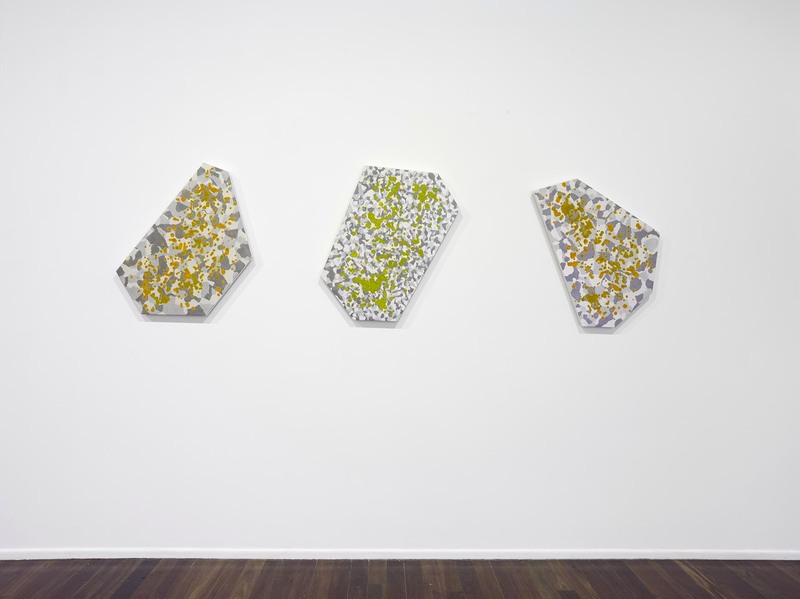 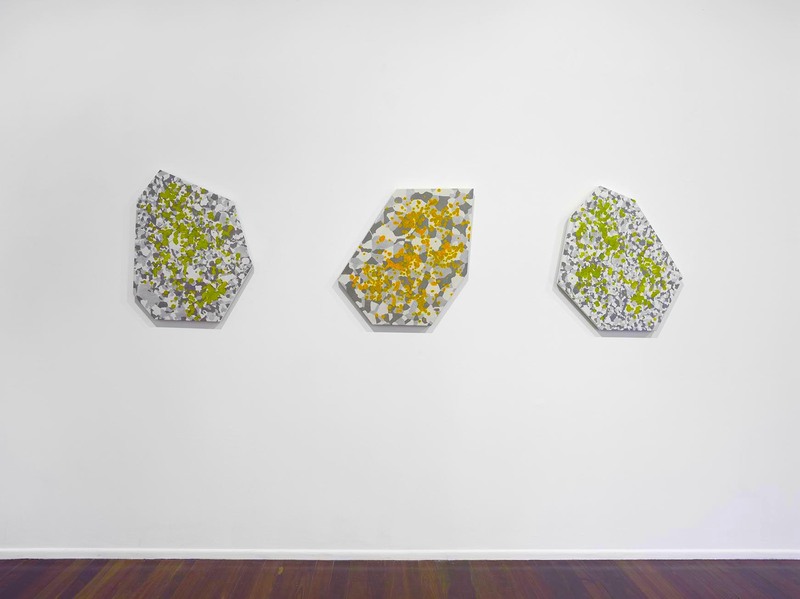 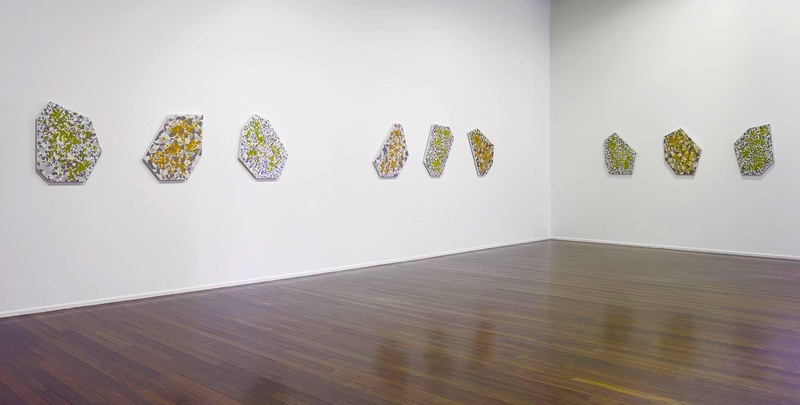 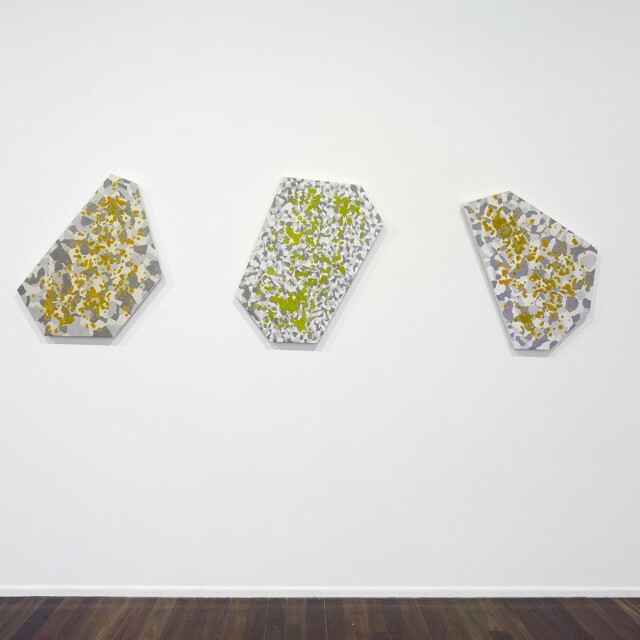 Installation view, Milani Gallery, Brisbane. 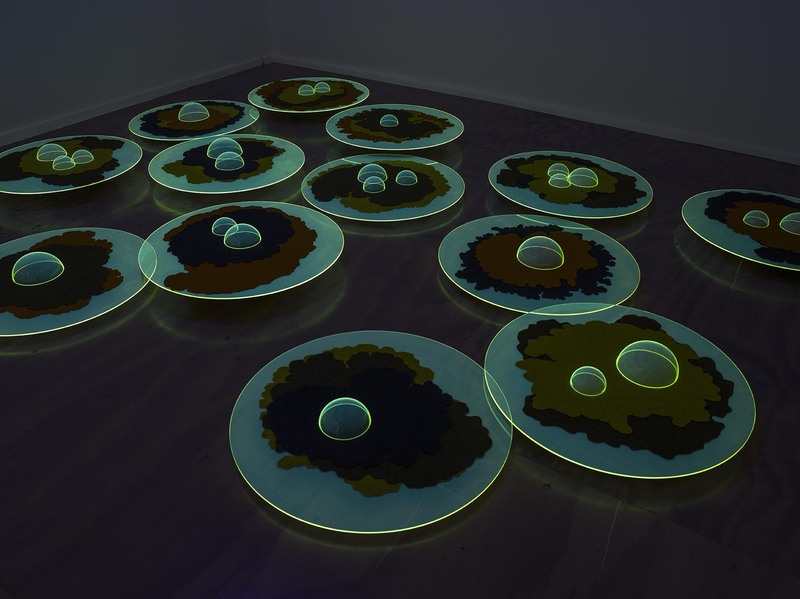 Photography Carl Warner.